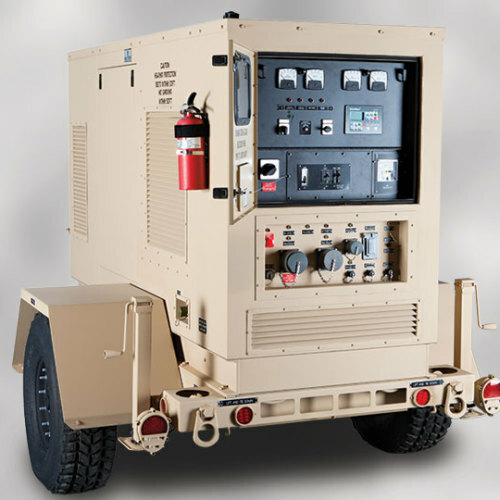 HDT offers trailer-mounted generators for transport through any environment. Each trailer is HMMWV-towable and features wheels that are interchangeable with the vehicle. Generator trailers are available with dual 35 kW generators, or a 60 kW generator.